Being involved in a car accident is something nobody expects, and it can wreak havoc on your life. You may need extensive medical care, and your job may be in jeopardy if you miss a significant period of work due to your injuries. 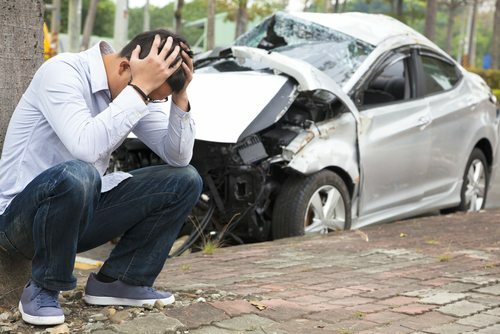 Simply put, if you are the victim of a car accident, you will be under an enormous amount of physical and emotional stress, and financial strain. A car accident claim may help you recover financial compensation for the damages incurred; however, some auto accident claim rewards are a great deal less than the actual cost of the accident. Getting the highest settlement possible should be a priority after a crash in order to ensure that your medical costs and lost wages are completely covered. Here are three ways you can maximize the amount of your settlement. If you are able to take photos of the crash, it’s critical that you take as many as possible. Take photos of your car as it was directly after the accident if possible, and take multiple photos of the damage to your car from all angles. The photos can help to visually ascertain what kind of damage there was, as opposed to relying on the written reports of police or others who were involved. Pictorial evidence of the accident is extremely valuable and can be used to demand a higher settlement amount from your insurance company. Be sure to get medical care as soon as possible after the accident, and keep detailed records of all tests and procedures performed. Get copies of your test results, including blood work, x-rays, CT scans and any other diagnostic tests that were conducted after the crash. Additionally, keep records of your diagnosis, your follow up care, and any medical expenses you incurred, including over the counter medication, bandages and any other accident related expenses. These records will be extremely useful in accurately estimating your medical expenses in order to ensure the accident claim is enough to cover them. It is absolutely critical that you contact an Ocala auto accident lawyer as quickly as possible following a crash. An attorney can help you estimate how much your car accident case is worth, and will assist you with communicating with the insurance company in order to get an adequate settlement. Your attorney can advise you when settling your case out of court is in your best interest, or if pursuing litigation is the best way to get the maximum financial restitution. At the Slonaker Law Firm, we have represented hundreds of individuals who have been injured in car accidents, and can provide you with comprehensive, aggressive legal representation. We are dedicated to helping our clients get the highest settlement award available in their case. Contact our skilled attorneys today for a consultation at 352-629-6656 or toll free at 888-629-6656. We’re ready now to help you. How Common Are Motor Vehicle Accidents In Florida? Just How Common Are Vehicle Accidents in Florida? What Are the most Dangerous Ocala Intersections? Are Teen Drivers with Passengers More Likely to Cause A Crash? Is the Biggest Source of Distracted Driving the One That You Think?